Experience the glory of Mughals and the Rajputs in the Quest to the classical forts and palaces tour, which is one journey that would be cherished throughout your life. 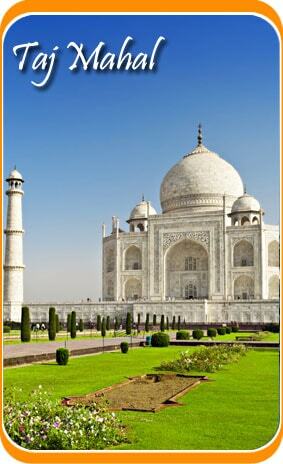 This Delhi, Agra, Jaipur and Udaipur tour having a flavor and vibrancy of its own. This tour would give you a sneak peek to the cultures of these historic cities covering every architectural miracle present in them. Every visit would be an experience on its own. The exhilarating elephant ride to the Amber Fort. Witness the grandiosity of Jag Mandir Palace and City Palace. Lunch at the famous Chor Bizarre Restaurant. Visit the village restaurant of Chokhi Dhani. Sail through Lake Pichola through Boat Rides. Spotlight dinner at Durbar Hall or Taj Lake Palace. After your arrival at Delhi, you will be assisted to your hotel. Stay overnight. After having breakfast, explore the nuances of Old and New Delhi. This trip would cover all the famous tourist stop over like Red Fort and Chandni Chowk which would help you uncover the streets of Old Delhi. After having a lunch in the famous North-Indian cuisine at the restaurant Chor Bizarre, continue the tour by visiting places like Humayun’s Tomb and Qutub Minar. Stay overnight at the hotel. After a light breakfast, begin your journey to Agra by road and en route visit Sikandra- the mausoleum of the great emperor Akbar. Post reaching Agra, check in to your pre-booked hotel and have lunch. With the sun setting in the background, witness the enchanting beauty of the wonder of the world-The Taj Mahal. Later, attend the Folk and Dance show. Stay overnight at the hotel. Visit the Agra Fort or the Red Fort, post a light breakfast. Later on begin your journey towards Jaipur by road, visiting the ruins of the city of Fatehpur Sikri, en route, which was the capital of Mughal Empire for a long time. Have lunch at Bharatpur in Laxmi Vilas Palace. Check in to the hotel after reaching Jaipur and the rest of the day is at leisure. A famous indigenous village resort –Chokhi Dhani, awaits you for a lavish lunch. 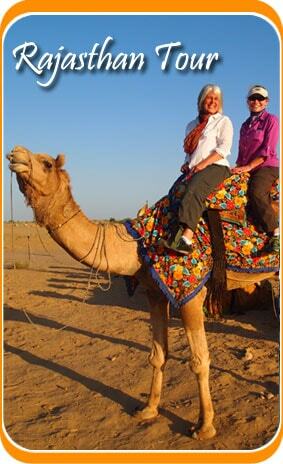 With an evening filled with camel ride and cultural performance, this trip would become worth remembering. Enjoy an ascending elephant ride or a jeep ride (depending upon your preference) to the hill top towards Amber Fort, and have a glimpse to its grandiosity. This also includes sightseeing to various other forts such as Sheesh Mahal and Diwan-e-khaas. Visit other famous spots of the city like City Palace and then visit the Costume Museum and witness the distinguished fabrics and artifacts of Jaipur. At the end of the day, visit the beautiful Hawa Mahal, famous for its Jharokhas or small windows. After an early breakfast, catch a flight to Udaipur. With the arrival at the Udaipur airport, check in to the hotel pre-booked for you. The first tourist destination for visit would be the City Palace which is marked by its Peacock courtyard, ivory doors and mirrored walls. Go for a beautiful and enchanting boat ride at Lake Pichola. After the boat ride, visit the island palace built amidst the lake known as the Jag Mandir Palace. Explore the princely “Royal Cenotaphs” of the Rajputs. An extravagant dinner waits for you at the Durbar Hall or the Taj Lake Palace. Stay overnight. IHave your breakfast, then spend rest of the time at leisure and later on catch a flight to Delhi. After flying down to Delhi, explore the street markets and ethnic food cuisine of the Capital of India. Witness a cultural performance as you bid adieu to India. Reach the railway station/airport and go ahead with your journey. Take a train or a flight and go ahead with your journey.